This exhibition highlights the Architecture and Urban Design Department’s best student work from Winter Quarter 2015. This exhibition culminates Erin Besler’s 2013–14 teaching fellowship at UCLA Architecture and Urban Design, presenting mockups of walls to suggest that material thickness is an architectural problem where multiple forms of knowledge meet. UCLA Architecture and Urban Design's end of the year all-school exposition between the Westwood and IDEAS campuses engages students, faculty and the international design community in a discourse at the forefront of contemporary design and innovation. With 20,000 square feet of studio and program installations, 250 projects on view and 90 leading critics and practitioners in attendance, RUMBLE redefines the provocative opportunities confronting the next generation of architects. Fora is the lecture series of the UCLA Urban Humanities Initiative, focusing on the intersection of design, urbanism, and the humanities. Most lectures are held on Tuesdays at 12:30pm in the DeCaf (Perloff 1302). For the 2014-15 year, the lecture series will focus on the contested spaces of identity in Shanghai, with speakers from USC, Tongji University, Fudan University, HKU, Cornell, and the University of Washington. Visit www.urbanhumanities.ucla.edu for more information. During its 50-year history, UCLA Architecture and Urban Design has been an innovator in identifying what architects are taught. From the invention of 3D computer programs; to the integration of sustainability in a design curriculum; to the incorporation of large scale CNC robotics for the first time in a school of architecture in the world; the Department has critically defined the topics, curriculum, and knowledge necessary to keep its graduates relevant in a changing world. Because the profession needs to address significant changes to the way people live and work, in the fall of 2014, UCLA’s Department of Architecture and Urban Design shifts its focus towards rethinking the department building itself. Rethinking the studio, review space, resource rooms, event spaces, and other activities will be the subject of a year-long programming study that includes the entire school and curriculum including the lecture series, public events, as well as in-house symposia and working meetings. Organized by Professor Neil Denari these lectures question; Is architecture part of the media since it is a medium? While it is not classified as a “graphic” or two-dimensional medium like painting, graphic design, or photography, it is nonetheless a medium of space and construction that has a relationship to these modes of expression and communication. This mini-lecture series asks two graphic design studios and two artists who work in photography to situate their work within the larger field of ideas that make up the image-sphere. In this world, this series argues, architecture does not stand apart from media, it takes its place in between and next to all other forms of image production seen to be traditionally at odds with architecture’s mass and persistence. Presenters will return to UCLA in June to participate in our annual RUMBLE symposium. The IDEAS Lecture Series will be back in Winter and Spring 2015. 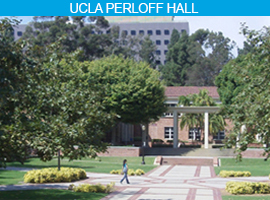 Look for the schedule at www.aud.ucla.edu/IDEAS in December 2014.